If you have ever thought about wanting to start your own You Tube channel or already have a channel and just want to learn how to get your videos better ranked and out there, then Tubby Buddy is what you have been waiting or looking for to make it all happen. My article will show what you get with Tubby Buddy and how to get the action you’ve always dreamed about with your videos. It’s not just about creating videos and uploading them to You Tube, you need to properly optimise your videos so that they can be searched by the right target viewer. With Tube Buddy, you will not only have the tool that can do this for your videos but you can get more viewers and subscribers but you will get the right viewers that will just keep coming back for more of what you produce time after time. 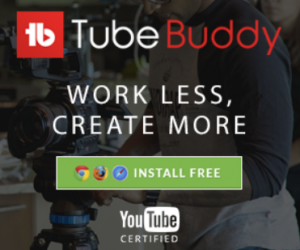 Now Tube Buddy is not a software or something like that but it’s basically a browser extension that you can install on Google Chrome, Firefox, Safari and IE. It will come up on your You Tube interface as in the image below. 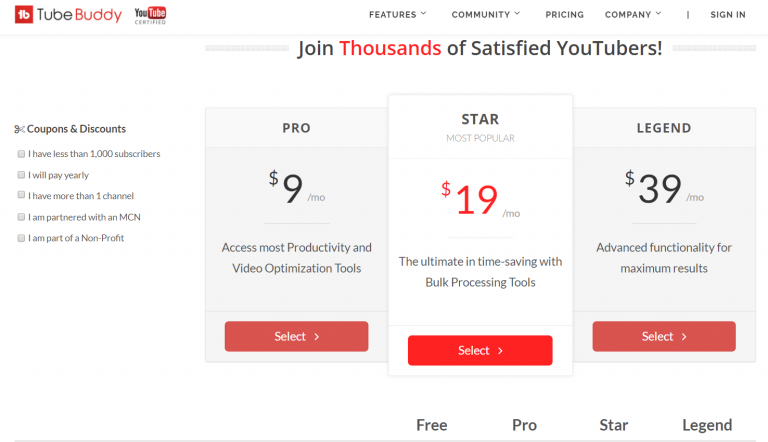 So how will Tube Buddy manage, optimise and grow your You Tube channel? 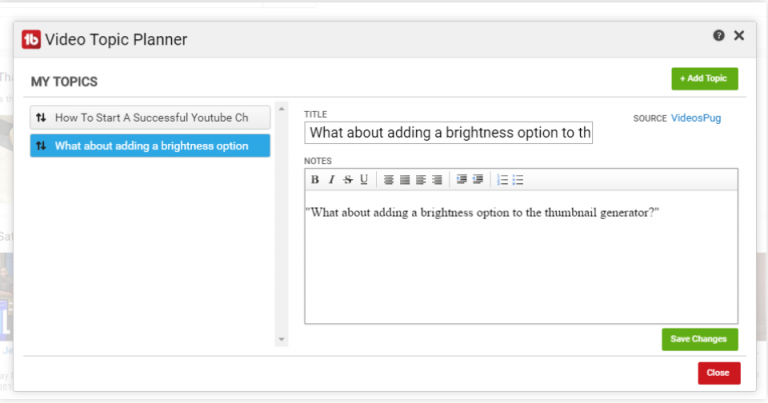 Tube Buddy is packed with many features that help optimise your channel with a You Tube algorithm. 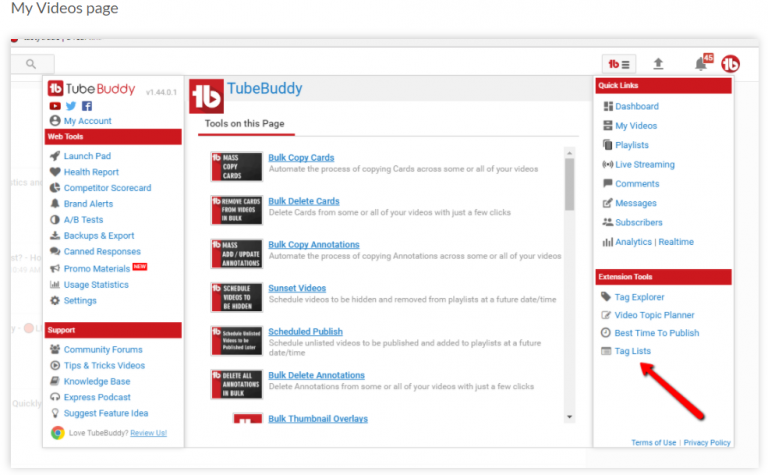 Below are images of the Tube Buddy features… Step by step video lessons to get your videos optimised to maximum benefit. There is a lot of info within these HOW TO videos to teach you on the best ways to get the most out of the extension but they are all short and sweet making it easy to learn in a short time. There are many so I have broken them down into groups for better understanding. As we know, for blog articles, keywords are search by a keyword planner. 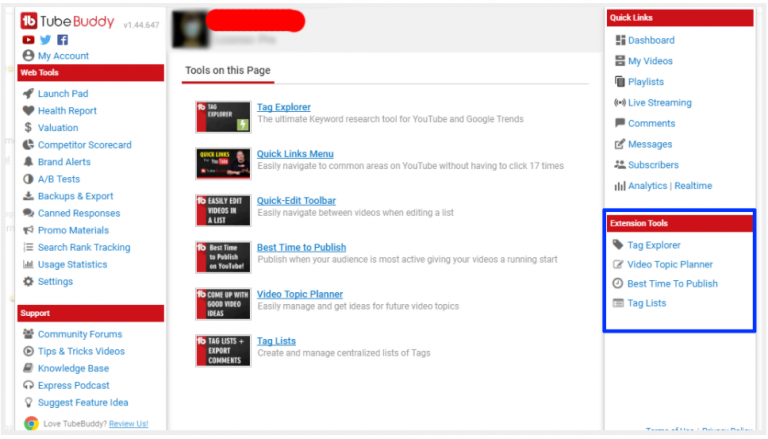 The Tag Explorer uses the same process for users within You Tube. To get better rankings we all know we need popular words with low competition…pretty basic right. 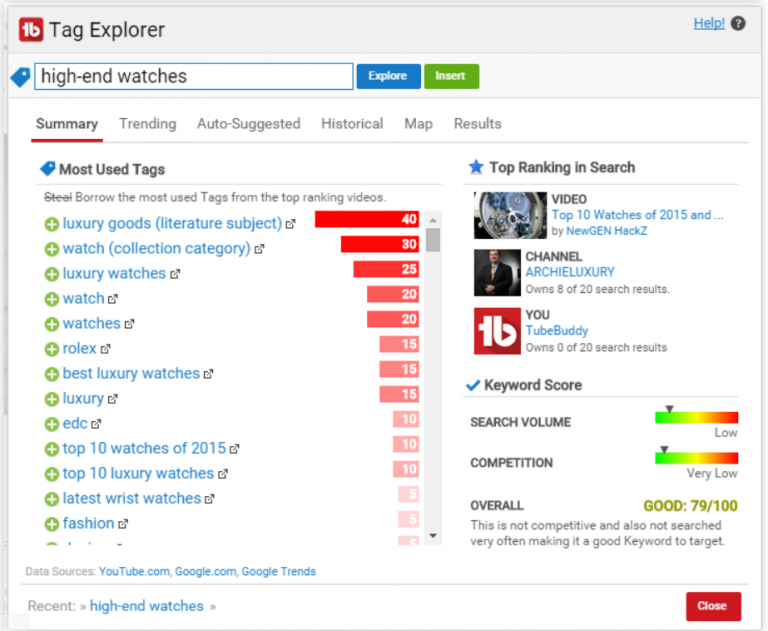 The Tag Explorer gives you the power to search the best tags to use for your videos that will lead viewers directly to your videos. 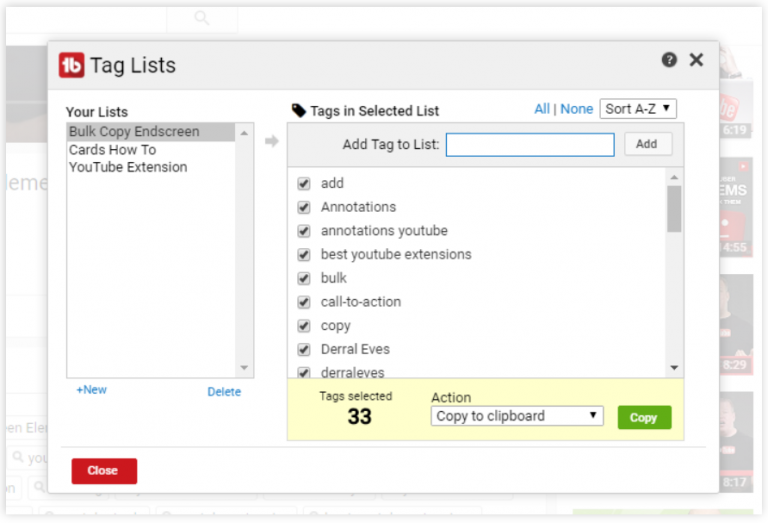 You will be able to find long-tailed search terms that will help to better target on You Tube, as well as finding trending tags. Just click on the Tag Explorer to open up the page from the Video SEO page. Add a search word in the EXPLORE BOX and Tube Buddy will generate will generate highly searched tags showing a ratings with the KEYWORD TOOL Panel on the bottom right of the page. From here you can decide on which words you can use. 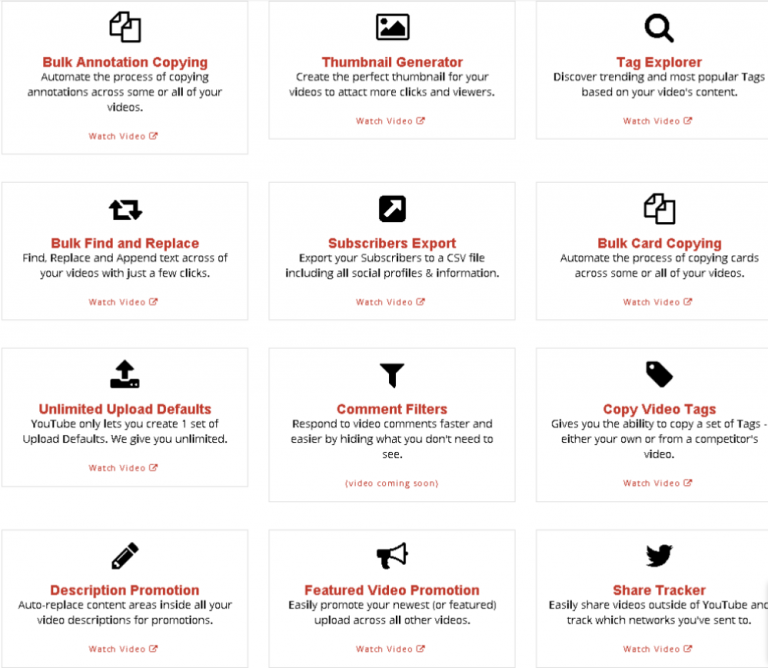 With Tube Buddy you can now save all of those great video ideas that you think of or find, easily all in one place. The panel allows you to keep notes of what you are thinking for a later date or keep for when you find other products you wish to promote to compliment the idea. Access it simply by clicking on the Video Topic Planner icon within the Productivity Page. Now this is something great to have in your arsenal. There are times when the viewers are searching intensively and then there are times when the videos that you upload just don’t seem to get any audience action. 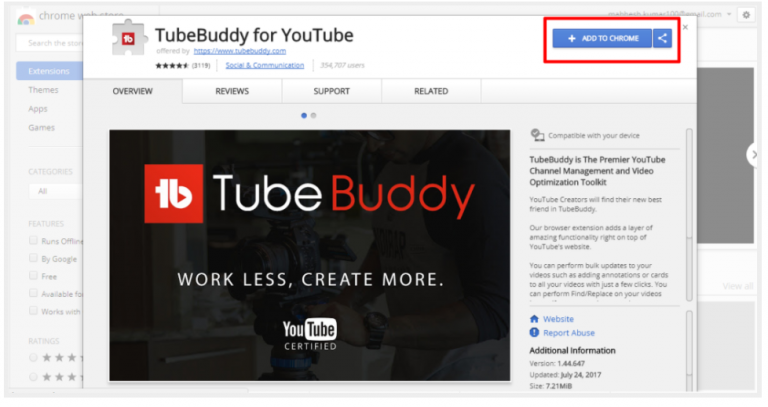 With this particular feature by Tube Buddy plays a great part as it will let you know which day and time will be best for your video to get major audience views early and make an impact on the You Tube site. Access through Best Time To Publish within the Data Research page. 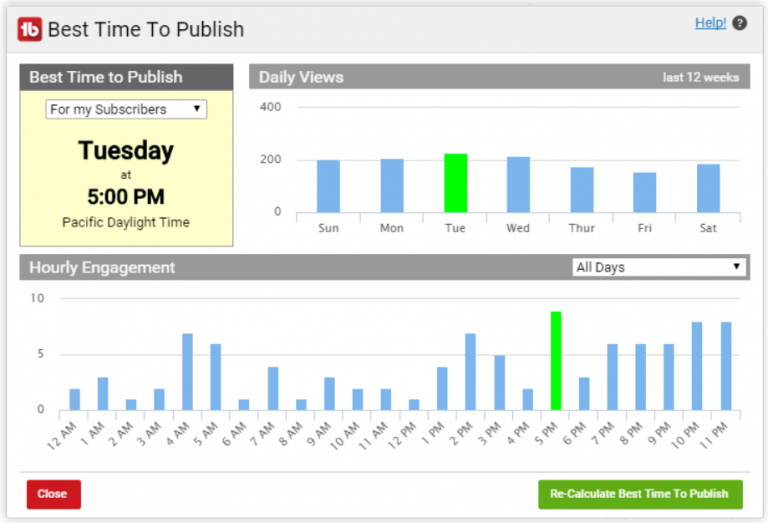 You can see in the image above Tuesday at 5pm is highlighted for the Best Time To Publish as a sample. You can access by clicking on the icon from the Data & Research page. No need to ever forget any important steps again with the Upload Check List. Hey, it happens. Some times we forget these important steps to finalise the uploading of our videos. Well now Tube Buddy has it all organised with a well thought out check list. Find the Upload Check List tool within the Productivity page. How many times have you used the same tags over and over again. Tube Buddy makes this so easy now with a feature of keeping them and saving them all in one spot. You can then access them readily when ever you need. Click the Tag List within the Video SEO page. These are just some of the great tool extensions and there and many more to learn about and use to your advantage. 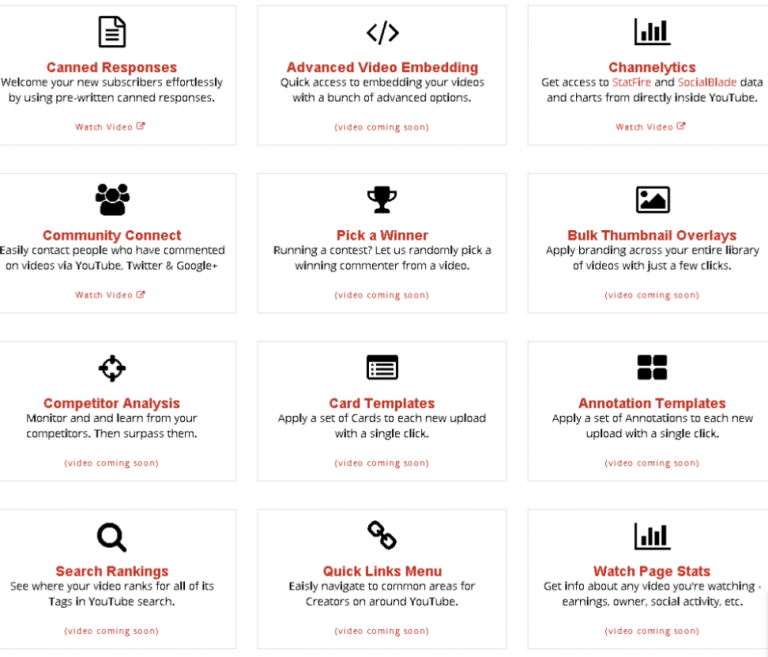 Great Web Tools to help give an advantage for visualisation of your videos is another feature that Tube Buddy has in its already jam packed kit. I will list them with a little description of each but once you start using the extension you will see how easy it is to master. Step by step instructions are always on hand any way should you get stuck on some thing. Health Report…access to analytic s on traffic searches, watched time, demographics, related videos etc etc. You can track which videos are doing better than others. Valuation…when you have a good number of subscribers you can check the valuation of each video produced and see when the value climbs and falls. Competitor Scorecard…make comparisons between your channel against any competitor in terms of views, subscribers and uploads. Brand Alerts…basically lets you know if someone uploads videos, playlists about your product/channel or your brand. A/B Test…a suggestion for the ultimate thumbnails tiles that will work best for your audience. 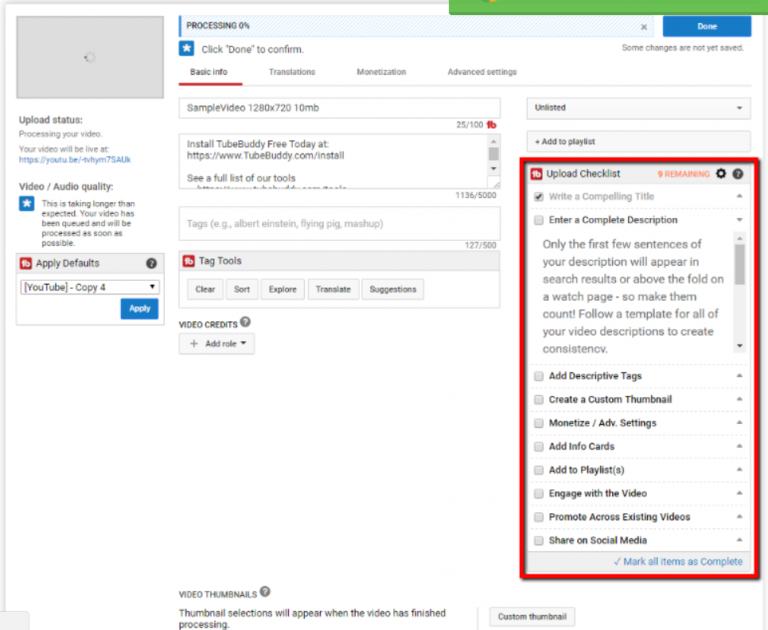 Can also tell you what might happen if you change your video title, description or tags. Backups and Export…always good to have a back up. Canned Responses…a feature to help you write and personalise your messages faster. A great tool. 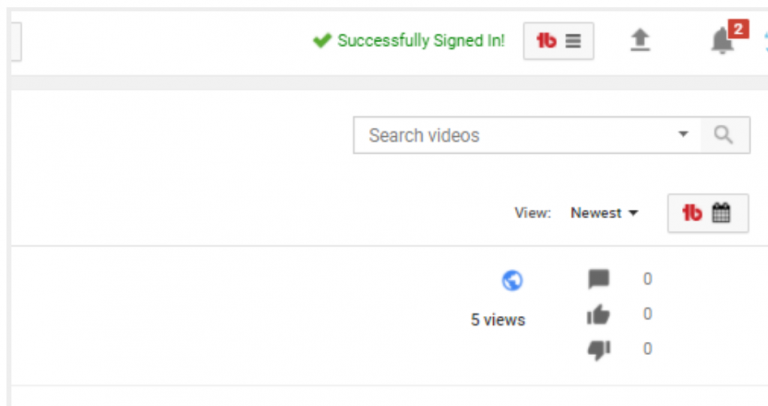 Promo Materials…boost views and of your videos and channels by linking them to various area like email signatures and also embed a video player on your blogs and sites which lets you play your most recent materials. 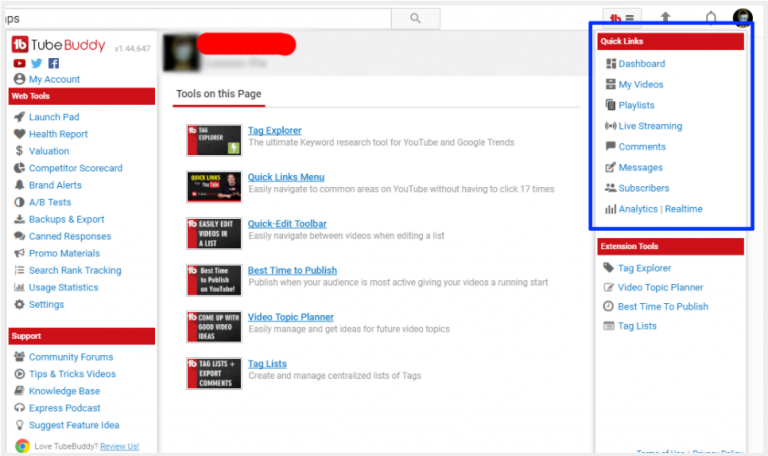 Search Rank Tracking…knowing where your videos are ranking within You Tube is great to know and you can determine which tags are not working well and decide to update for better progress. Usage Statistics…basically shows how many features you have used within a specified time range and also how much time the features have saved you when preparing your videos and materials. Setting…gets to your settings page. I think you can safely say that this is very impressive. There are so many features that you will need some time to explore them all but here are just a few more to get your head around. And the list just goes on. Once you sign up you can see them all. 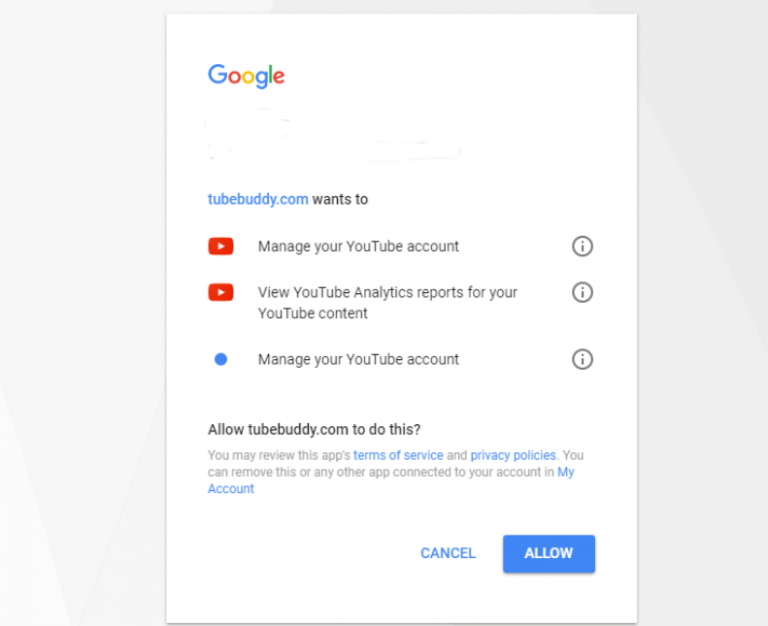 Lets get to it then…installing the Tube Buddy Extension on your Google Chrome browser. A window will open and you will need to click the Add To Chrome button on the top right hand side of the screen. It will automatically install the extension on to your Chrome browser. 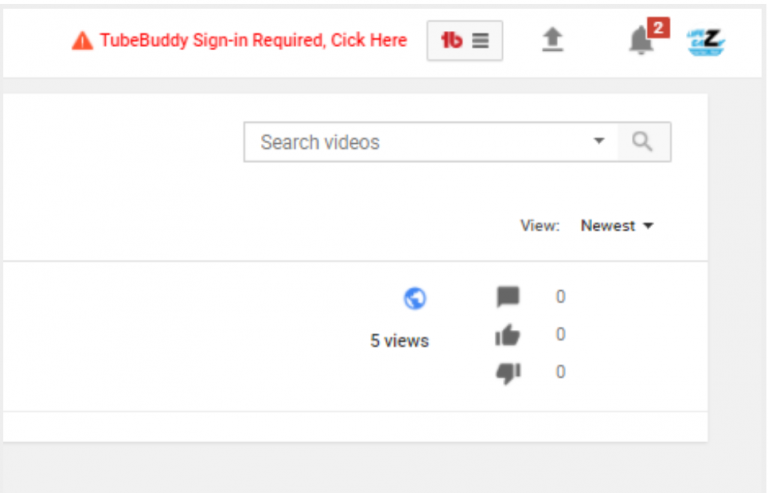 Log into your You Tube channel and you will see this message stating that you channel is not yet connected to your Tube Buddy extension. 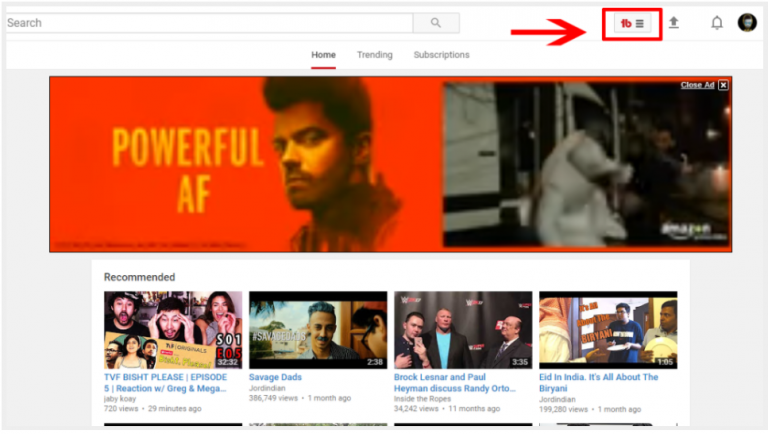 Simply click the TUBEBUDDY icon and sign in with You Tube. Next window will as for permission. Click ALLOW. Once connected you will see a congratulations message stating that you are now installed and have successfully connected your You Tube channel. Right…now it is all installed, how about the pricing! There are four plans starting with Free, Pro, Star and Legend. Each have advantages and you will see on the website what these entail. There are also members perks for each plan at the low section of the page as you scroll down. Check then all out carefully and work out which will suit you best. Well I really think I don’t have to convince anyone on what an outstanding tool extension Tube Buddy is. Great value for anyone wishing to start making videos for either enjoyment or business on the internet. Tube Buddy just makes it easier for a newbie starting out with all the easy to follow training videos or for any experienced video marketer that wants to shorten their time to get their material out there. Great features and analytical information for working out what is needed to get traffic and eventually sales. Save ideas to the Video Topic Planner for your next project and see what is the best time to upload your videos for maximum effect with the Best Time To Publish feature. Tube Buddy just makes things easier and efficient. I have to give Tube Buddy a 10/10 score and I commend the developers with congratulations for their efforts. 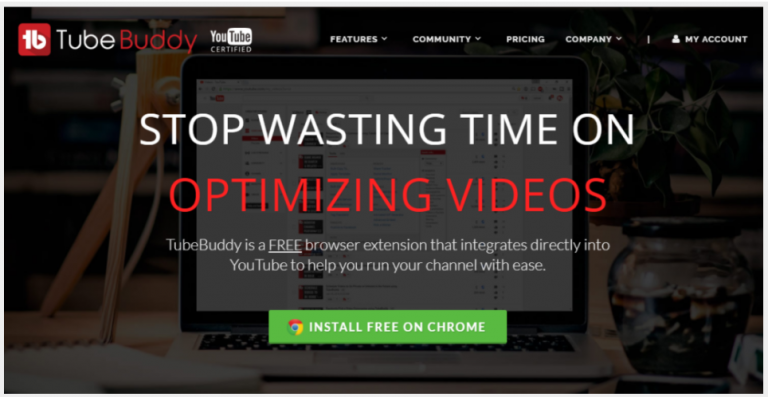 So it’s up to you to join the millions of happy You Tubers that are already benefiting with the Tube Buddy Extension tools. Don’t get left behind and surge you videos to the top of the rankings. Hey this is a really good article, i have a youtube channel and i really need something like this. I am trying to get up my subscribers and build my social media to promote my websites. You explain a lot about it and this seems like something that could really help me. Well thanks for this article i think i am going to download it now! Hi Justin, glad you found the article to help. Yes it is a great tool and has helped me and many others to get more out of their You Tube.